To check our actual offers in Münster, please use the white form above. Just enter the desired dates, time and pick-up/return location. The most recent car booking in Münster has been made on our website 4484 minutes ago.. 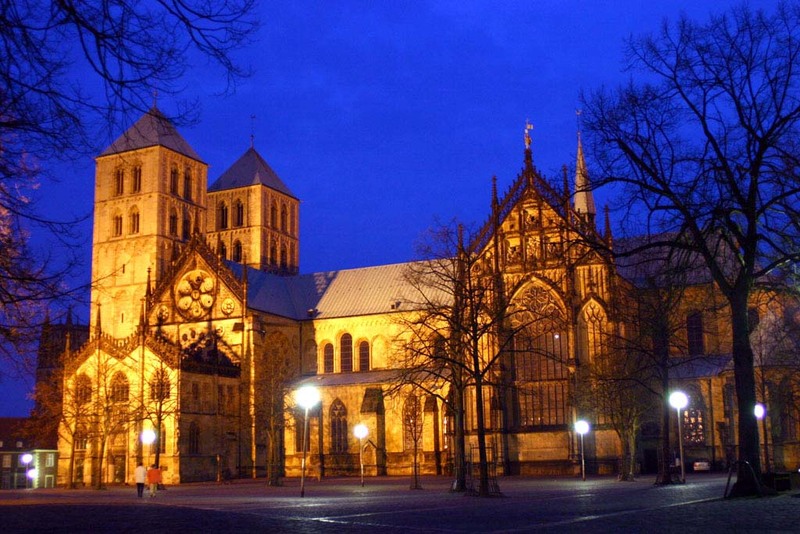 In Münster, we offer for rental 8+ car categories from 20+ rental suppliers. With OrangeSmile, an early booking is the best way to save on rental costs, since our car rental rates in Münster increase with approaching pick-up date. While our confirmation arrives just in 5-20 minutes, we advise to make your booking in Germany at least a few days before the desired rental date. Prior to making a booking, carefully read the rental conditions for the selected car in Münster. Knowing the actual conditions helps to avoid surprises at the rental desk. Make sure that you know at which exact location in Münster the car should be picked up - for this, check the address in your voucher. In some cases, rental companies in Germany meet their clients in a pre-defined spot (e.g. fuel station). However, commonly you should just register at the front office. Valid credit cards are accepted for payment by every rental office in Münster. In general, car rental companies in Germany do not accept cash, debit cards and e-cards (VISA ELECTRON). The documents provided to you in Münster by the rental officer should be carefully inspected. Check the car type, payment amount, taxes, included services and Germany border crossing conditions. In case of inconsistencies and problems detected, call us by the number specified in the rental voucher. We, at OrangeSmile.com, wish you a fantastic time and experience in Münster! Muenster is considered to be a rather rainy city as rains are rather frequent there regardless of the season of the year. However the rains are rather short that is why the weather will not disrupt city exploration or interrupt the vacation of tourists in any way. Setting off to a walking tour one should take an umbrella and for a cycling tour one will need a waterproof overcoat. The most popular boutiques and shopping centers are located in the Prinzipalmarkt street. This is the final destination for those hunting some memorable gifts and souvenirs. Shop-a-holics are recommended to visit Muenster during the Christmas fests as during this period the shops and stores of the city present scale sales. The city also invites its guests to visit numerous festive open markets. The city offers a great variety of attractive restaurants and pubs. Prudent tourists should give preference to the remote from the city center eating establishments as in this case one will find the most attractive pricing. Choosing a restaurant, tourists should keep tracking of the eating preferences of local people. If an eating house is avoided by local folks then the restaurant has gained bad repute or features rather high price tags. Tips are a must in all gastronomy establishments of the city. The amount of tips depends on the level of the establishment and lies within 5 to 15% of the total sum of the bill. Muenster is considered to be a rather safe and quiet city. Its central streets are safe for tourists even late at night meanwhile the remote areas of the city should not be visited by the tourists alone. These areas should be visited only accompanied with a guide.